Sow indoors in a greenhouse, not too deep and press lightly. 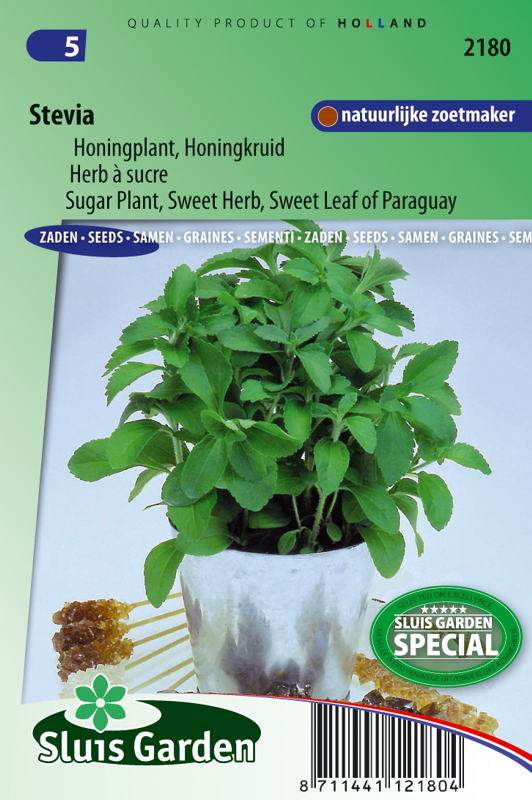 Do not water too much, due to the troublesome and irregular germination. As soon as they can be handled, transplant to pots or boxes. The leaves of Stevia are low in calories and are used as a natural sweetener in coffee, tea and various dishes (possibly pureed). Good for diabetics. Approx. 40x sweeter than sugar. 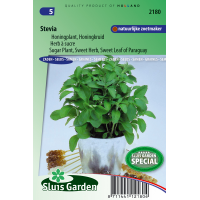 Stevia cannot withstand low night temperatures well. Therefore bring indoors when temperatures are lower than 10 ºC.